Eutelsat Communications has ordered the next-generation VHTS satellite system named KONNECT VHTS, to support the development of its European fixed broadband and in-flight connectivity businesses. The satellite, which is due to enter into service in 2021, will be built by Thales Alenia Space which will develop a satellite and ground segment solution that is the most competitive on the market today. With a weight of 6.3 tons and a Ka-band capacity of 500 Gbps, KONNECT VHTS will have the most powerful on-board digital processor ever put in orbit, offering capacity allocation flexibility, optimal spectrum use, and progressive ground network deployment. The project will be launched with firm multi-year distribution commitments from Orange and Thales, two key European players and leaders in their businesses. 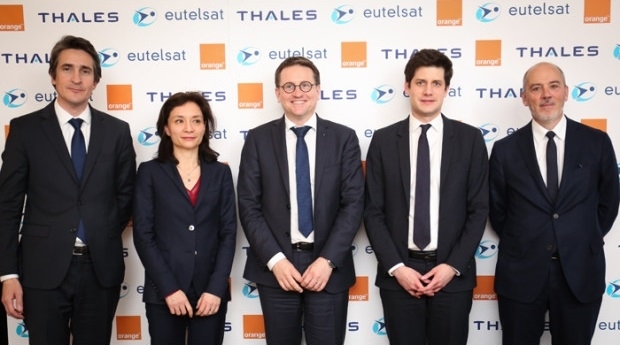 A retail partnership was signed with Orange to address the fixed broadband market in European countries where the Group has a retail presence, and a distribution partnership was inked with Thales to serve the government connectivity services market.